This relaxing massage is a service designed to relieve muscle tension, reduce stress, increase blood circulation while improving skin and muscle tone. A firm massage with lots of pressure geared towards enhancing the joints and muscles of athletes. Thai Massage This oriental whole body work is a profound blend of rhythmic compression, massage, acupressure, and assisted yogic stretching. Hot Stone Massage Let the heat from smooth stones deeply relax and warm up your tight muscles. Signature Massage Enjoy a relaxing Swedish Massage with a combination of Hot Stone Massage on your back. Perfect to sooth aching areas. 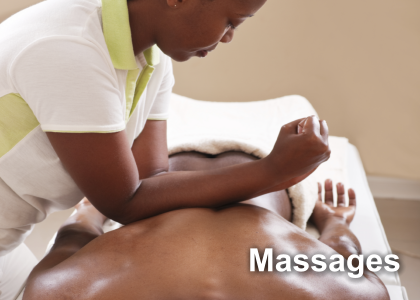 Sports Massage A firm massage with lots of pressure geared towards enhancing the joints and muscles of athletes. Pregnancy Massage Recommended after the First Trimester of pregnancy. Relieves stress, promotes relaxation and prepares the muscles for childbirth. Herbal Massage An ultimate service with customized Ayurveda pure oil and pure herbs which calms the nervous system, nourishes and tones the tissues and balances the whole being. Cellulite Massage A detailed massage designed to help break down cellulite. Couples Massage You, along with your partner, will experience the joy of relieving built-up tension and stress. Relax with your partner while you enjoy a full-body massage together in the same room. The age-old science of foot manipulation that can help to deal with aches and pains throughout the body. It's therapeutic. Chair Massage Chair massage is a popular way in which to offer massage therapy in a corporate and other business settings for groups. Clients remain fully clothed and treatment generally last from 10-30 minutes per person focusing on the back, neck, arms relieving general muscle tension. This massage rejuvenates and makes you more productive. (out calls) An hour of relaxing massage at your hotel, office or home. Distance for services is limited. 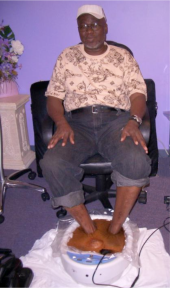 Ionic Foot Detoxify The Ionic Foot Detoxify System improves the micro circulation of the blood and helps to re-balance the bodies electrical system. Aching Feet Treatment Relax while your feet are soaked in an aromatherapy softening bath, followed by exfoliation, foot massage and a foot paraffin treatment, leaving your feet pain-free, relaxed, soft and glowing. Classique Facial A facial treatment that instantly improves the skin by restoring a healthy cell renewal cycle. Allows your skin to exhale and reveal a luminous complexion. Teen Facial This relaxing, beneficial treatment promotes early habits for great skincare. Mini Facial A 30-minute facial that is perfect for quick rejuvenation. 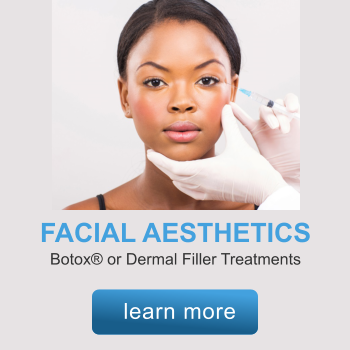 Signature Facial A complete and personalized deep pore cleansing and restoring facial that you will ever experience. With anti-inflammatory plant and flower extracts that will leave your skin re-enlivened. European Facial This treatment consists of a relaxing facial with steam vapor, gentle cleansing, exfoliation and extractions. A skin-specific mask application is followed by toning and moisture protection. Includes face, neck and scalp massage. Cimilift Perfect for mature skin. A treatment designed for ladies who have menopause and post menopause symptoms. A perfect women's line for intensive Anti-ageing and Reaffirming. Eye Treatment This relieves eye stress. It alleviates sinus pain, jet lag, the symptoms associated with puffiness as well as crows feet and ageing expression lines. Leaves the eye contour refreshed. Back Facial Enjoy this back facial which comforts, cleanses, exfoliates and hydrates the skin. Deluxe Back Facial Massage A relaxing back treatment which includes massage, preceded by a complete cleaning exfoliating and masking of the back. Spa Parties We can work with parties as small or as large as need be and we will customize the event just for you. Minimum requirement for a spa party is 8 people.